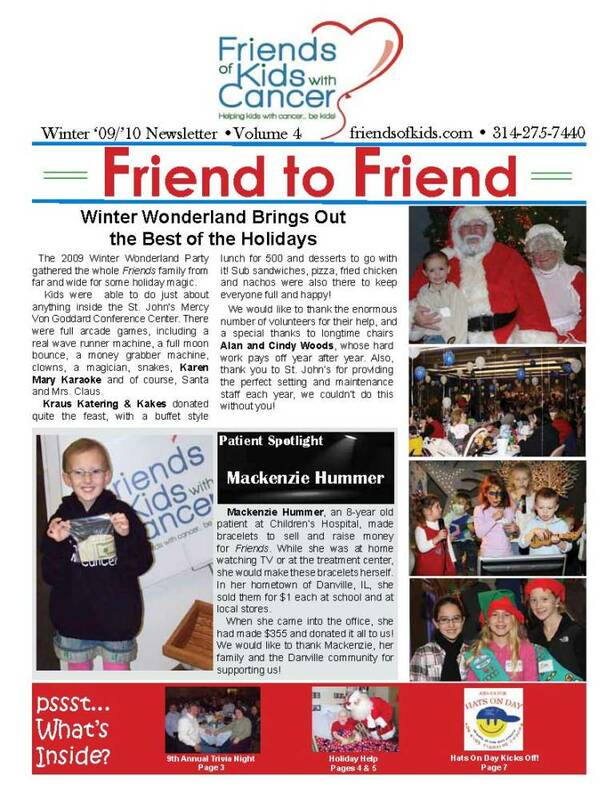 Friends of Kids with Cancer | See the latest version of Friend to Friend, our official Newsletter! See the latest version of Friend to Friend, our official Newsletter! Check out the MANY ways to get the newsletter! CLICK HERE FOR A PDF OF THE LATEST VERSION! CLICK HERE TO READ IT ONLINE INSTANTLY! CLICK HERE TO GET IT SENT TO YOUR HOME! Please enjoy all of the wonderful stories about the kids and families we serve, and get updates on our recent and upcoming events!